3,162 km raced at an average speed of 23.37 km/hr. 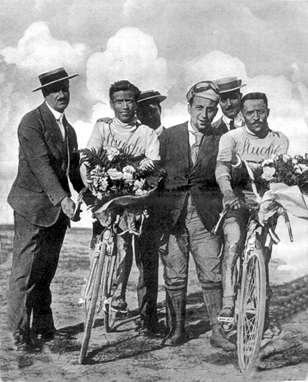 Since the Giro's origin in 1909, the General Classification had been calculated using points. The 1914 Giro GC was the first edition that used elapsed time to figure the standings and time has remained the basis of the Giro's standings ever since. 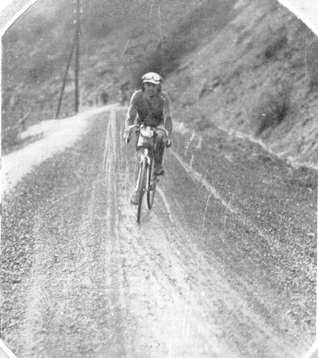 The 1914 Giro was without a doubt the hardest-ever Grand Tour. Only 8 riders were able to finish this staggeringly difficult race. A planned 1915 edition was cancelled with Italy's entry into the war. Gremo leads, all riders with the same times and places as their stage finishes. Durando, Calzolari and Canepari were penalized and relegated, but I do not know if these results reflects this. 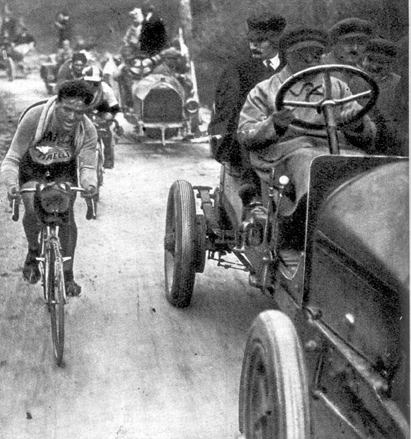 Racing in the 1914 Giro. I don't know the rider's name nor the stage in this picture.